We have been providing Hydro-Jetting service to our commercial, industrial & residential customers for over 22 years. Residential Service- Have us Hydro Jett your main sewer line before replacing it. Our Root Rat Jetter head is designed to remove the toughest roots from your sewer line. Hydro-Jetting for Commercial, industrial & residential. Plumbing repair - Sewer repair, Re-pipe. Sewer line Camera inspection. Jetters Only offers routine Jetting maintenance plans, designed to fit your business needs. Keeping your sewer lines clean will help you avoid emergency backups during your busiest times. Plumbing problems always occur at the worst times. When they do happen, the priority is getting your business working properly again—so you can concentrate on your customers. Save time and money with Hydro-Jetting, we have Jetted single story apartments to 8 story apartment / condo buildings. Don't waste your time and money running cable machines clean the line right the first time. Keep you tenants happy and avoid property damage. We have Jetted single story to high rise buildings, Our Hydro-Jetter will remove all buildup in your sewer lines from 1-1/2" to 10" in diameter. 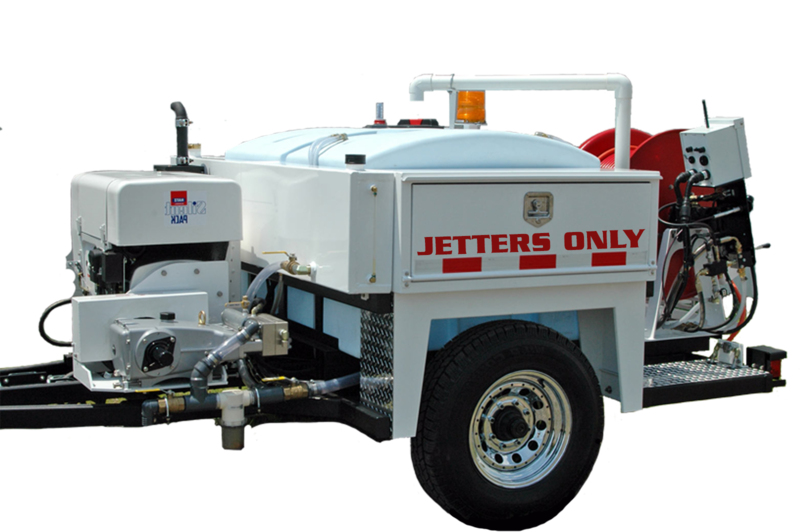 Our Jetter supplies 4000psi and up to 16 gallons per minute to remove the heaviest buildup. Have you been told your main sewer line needs to be replaced? Before you start digging give us a call most root blockages can be cleared with our exclusive Root Rat Jetter nozzle which pulverizes most roots. Broken or rotted sewer lines cause a huge inconvenience to your daily business routine and are a common source of costly property damage and potentially serious health issues for business owners. Luckily, Jetters Only is always available to resolve your sewer problems. If your looking for a professional, yet affordable expert copper repipe service, look no further. Our company has served the Los Angeles community for over 20 years, with a commitment to excellence that is unmatched in the industry, and our customers know they can rely on us for an affordable, professional copper repipe. To determine the exact cause of the problem and its exact location, we use inline sewer camera inspection equipment. The small camera used in our inspection allows us to get a clear view of your pipes to determine what is causing the sewer line backup. Jetters Only has provided our Jetting and plumbing services for over 20 years. They provide the best service we have been able to find. Jetters does not over charge or do repairs that are not needed. Thanks for all the years of service and we appreciate your fast reliable service. Thank you very much the support your company has provided over the years, we have had plumbers tell us huge repairs are needed but Jetters always fixes the problem with out taking advantage. They are really wonderful in their care and in the resolution of the problems that arise running a restaurant. We had a local plumbing company tell us our main sewer line had to be replaced, we were referred to Jetters from a friend and they came out and Jetted the line and cleared all the roots and we have been trouble free for 8 months now. Thank you Jetters for saving us! !